Today’s post is from Brenda Pilott. Brenda is one of two national secretaries of the Public Service Association. With 59,000 members working in all areas of the state sector, the PSA is New Zealand’s largest trade union. Prior to joining the PSA in 2004, she was a public servant for 11 years, working mainly in social policy, including 5 years as General Manager Policy at the Department of Child, Youth and Family Services. She has also worked in the voluntary sector and local government in New Zealand and the UK and was for four years a national co-ordinator of women’s refuges. 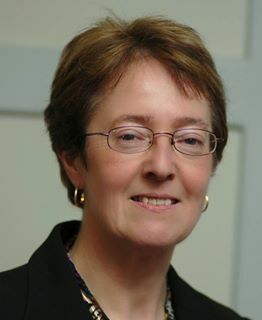 Brenda is a member of the advisory board of the School of Government at Victoria University and member of the Victoria University of Wellington Council. It’s fair to say we don’t always see eye to eye on some things, but I respect her different view of the world of work. You can follow her on Twitter @PSAsecretary. Engagement with your staff? We can help with that! I’d be willing to bet my Christmas turkey that most of the people reading this blog work for organisations that spend quite a lot of money on surveys, focus groups and other methods designed to help you judge whether staff are engaged. Some of these methods even profess to improve the level of engagement. Well, obviously it’s a good thing to have staff who are engaged, committed, interested in the work your organisation does and the outcomes being sought. We all know that engaged staff stay longer, probably work harder, have better ideas, and are generally the type of staff you want to hang on to. So promoting staff engagement (or at least knowing how well you’re doing there) is a Good Thing. But, honestly, does your staff engagement survey really tell you much? And is it worth the money, which you might otherwise spend on things that might actually engage staff (like training, career development and the like)? Well, I’ve got a better offer for you. It’s a well-established system for engaging with your staff. It costs you nothing. Think of it as free consultancy. It’s reliable. You’ll get honest answers about how well engaged your staff really are and what they really think. If you work in a NZ public sector agency, the chances are many of your staff are unionised and the union they belong to is one that has a constructive approach to engagement between members (your staff) and management (you). If you work in a private sector organisation, the picture may well be different. I lead the largest public sector union in NZ, so I’ll just speak for us and how we work. In most organisations where we have members, but especially the larger departments, we have a well developed delegate structure and engagement forums and processes, whereby problems can be identified, raised and solutions found. In some places it goes beyond that, and the union is engaged in working with management on innovation, productivity improvement, culture change – making the workplace a better place to work; maybe even a great place to work. That’s what our members want. No one goes to work to be unhappy. No one wants to work for a place which is badly run, not achieving its goals, demoralised, flailing about from one management pet theory to the next. People want to work in workplaces that treat them with respect and dignity and are fair. Where they can have a real say in how work gets done. Where the balance between change and job security is managed transparently. Where training, career development and performance feedback support all staff to make the most of their potential. And, yes, where people are paid fairly. So, back to the union role in all this. The union in your workplace should be able to provide you with informed and constructive feedback about how staff feel about the workplace. They should have their finger on the collective pulse, and know which issues are bubbling away and which ones are boiling over. The union provides a safe place for the real views to be discussed and, if the views are widely held, then the union provides a safe channel for the collective view to be expressed to management. And better still, unlike an engagement survey, it provides a vehicle and processes to work out how to make the workplace better. Working with the union. Cheaper than an engagement survey. Better than an engagement survey. Has authenticity and credibility with the workforce. What’s not to like about that! Firstly, it does give me warm fuzzies that even when you don’t see eye to eye with someone, their voice is still as relevant, respected and heard just as much as anyone else’s. Secondly, I do agree with Brenda that companies invest too much in engagement surveys. Just talking to people is a far better barometer. I also like this notion that the union can provide feedback on whether people are happy to not. However, I think this is idealistic. I can’t profess to have had much experience with the unions but, where I have, the union organisers have been self-interested and ignorant and I’m not talking about how they approach the business they are working with, I’m talking about the attitude and approach of union delegates and organisers to their membership. I would LOVE to be proved wrong on this! Unlike me to defend unions Amanda, but that’s possibly an outdated view. I think the good ones are far more aware of the need for partnership and collaboration and I remember going to some partnership sessions with the PSA well over ten years ago now! Ironically unions in my experience are like many companies. At a senior level, people like Brenda are passionate about the right things. The issue seems to be the grass roots people. The local reps and managers don’t see the big picture and lock heads on the wrong issues which then disengages employees at a local level. I agree with Richard, unions have come a long way and there is still improvement needed on both sides. You read my mind Andrew. I was going to say something exactly like that. Honest! I wonder if Brenda has a different view? My experience with unions is not broad, like I said. But, for what I do know, it is no more than a few years old.